I wish I didn't have to work this week. Only scribbled some concept art so far but already love my game, so I do hope I can get something done. The idea is rather simple. You're a mad scientist in your mad science lab and build a mad device for which you need mad ingredients and parts. Which are scattered across the lab. 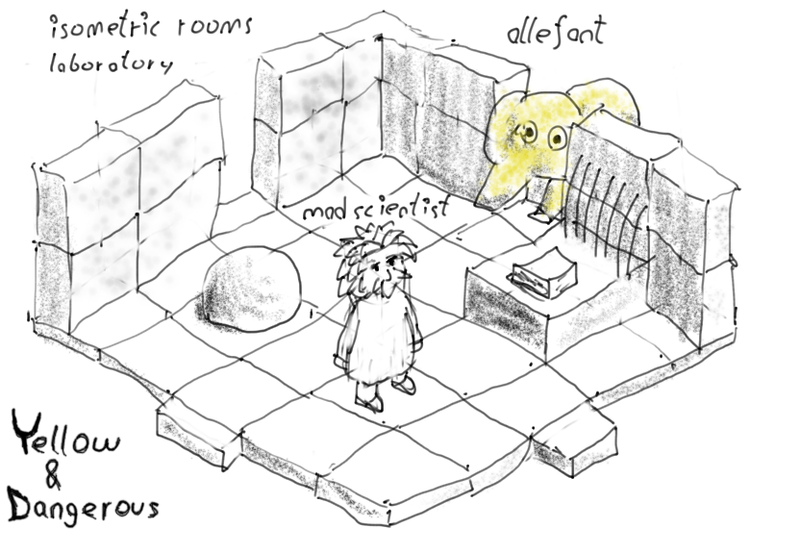 There's also your helper a mad yellow elephant which may be real or just your imagination but who is needed to solve most of the puzzles.